George Basha and David Field. Nine years after their first collaboration on The Combination, co-directors David Field and George Basha are putting the finishing touches on the sequel. 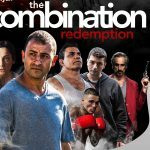 Pinnacle Films will launch The Combination: Redemption on February 7 as well as handling international sales of the crime drama set in Sydney’s Western suburbs. Scripted by Basha and set six year later, the sequel follows Morkos as he is still haunted by the events that led to his death of his brother. As he begins to rebuild his life he finds solace in the boxing ring at his local gymnasium. Meanwhile tensions are building as ruthless new crime boss Nas (Johnny Nasser) seeks to expand his empire as the formation of a radical group of white supremacists threatens to shatter the social fabric of the local community. The DOP is Robert Morton and the supporting cast includes boxer George Kambosos, Tony Ryan, Taylor Weise, Rahel Romahn and Andre de Vanny. The original film played on 32 screens, ran for 10 weeks and grossed an impressive $742,000. Field said: “Along with the brilliant cast and crew, we’re proud to bring the new Combination movie to a wide audience”.